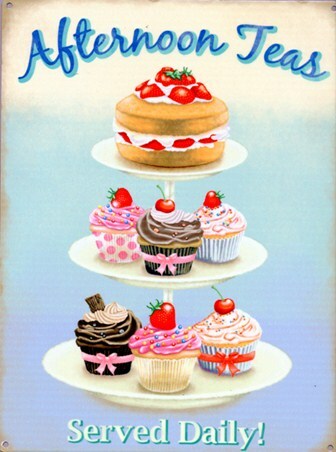 Food and Drink Tin Sign: This delightfully cheerful tin sign sure is a feast for the eyes. 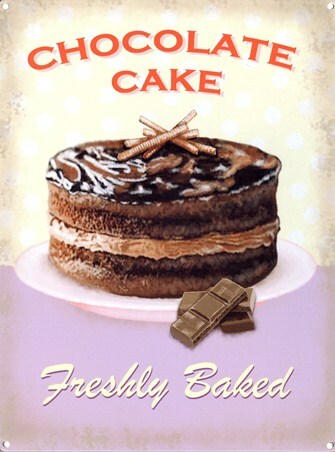 If you have a sweet tooth and love to treat yourself to a delicious baked delight once in a while then this sign would be perfect for your kitchen. 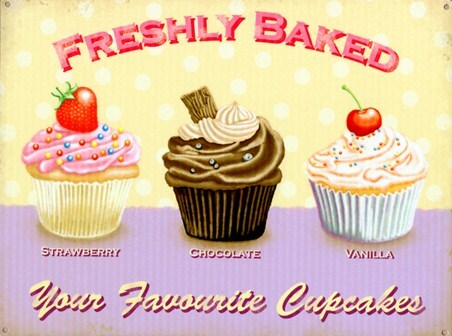 You can almost smell the sweet icing and with that mouthwatering strawberry placed neatly on the top of this cupcake, perhaps looking at this wonderful artwork will entice you to make the real thing for yourself! 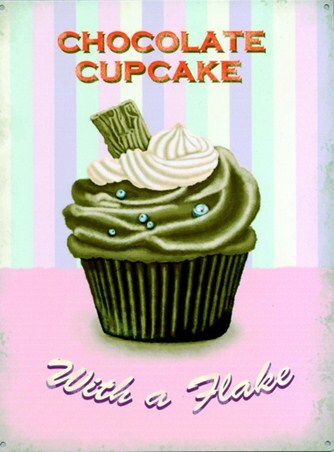 So whether you are a budding baker or just a lover of all things sweet, this delightful pastel themed piece of art will add a touch of vintage culinary cuteness to your room. 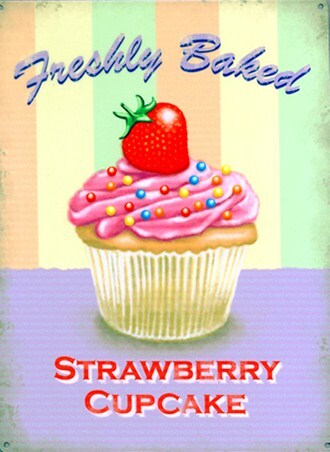 High quality, framed Freshly Baked, Strawberry Cupcake tin sign with a bespoke frame by our custom framing service.